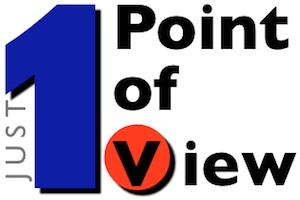 Like many consumers, there are certain products and services that I have used and absolutely love, and then there are those that I really dislike. Sometimes my experience with these products and services are so great, good or bad, that I feel compelled to tell the whole world. Welcome to my first selections to Pick and Pan. Have you had the chance to use one of these new types of hand dryers? Now this is what a forced warm air hand dryer is all about! I've seen a few of these installed in select airports and interstate highway rest areas. They may be in other public locations as well. Their use is brainless; no buttons, levers or switches to operate. You simply insert your freshly washed, wet hands into a wide slot at the top of the dryer. A "blade" of forced warm air automatically begins to blow, simultaneously striking both sides of your hand at the wrist. A vacuum at the bottom of the slot turns on at the same time. As you slowly withdrawal your hands from the slot, the blade of warm air literally scrapes your hands of any surface water, while the vacuum at the bottom keeps the slot nice and tidy. Super efficient. No mess. Low noise. Very fast. Cool, modern looking design. If I could purchase one of these appliances for a more reasonable cost (currently about $1,200 retail) I would have them throughout my home. The high price is probably why you don't see more of these hand dryers installed in public locations, but I would expect that to change over time. 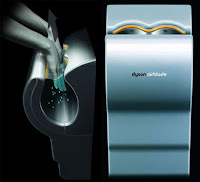 The Air Blade just works so darn good, uses less energy (i.e. no HOT air) and leaves no mess. That should prove to be more economical over time. I've used Hertz exclusively for my business travel ground transportation needs for many years. I've also been a "Hertz Club Gold" member for years, and enjoy the nice perks that come with that status. As much as I value the Hertz customer experience, they do get it wrong once in a while. In this case the failure was so bad that they earned this well-deserved "pan". On a recent trip to through Boston Logan International Airport, I had reason to rent a car from Hertz. I used their friendly and simple on line reservation system to hold a mid-sized car for my needs to comfortably transport one other business associate about town. According to the Hertz web site, a mid-sized car generally has 2 to 4 doors, seats 4 to 5 passengers, and has luggage capacity of up to 3 suitcases. They suggest that the Mazda 6 fits this description. I would agree and looked forward to driving a car much like the Mazda 6. Imagine my surprised when I walked to my waiting car to find it was a Toyota Yaris. Now, I'm not hating on the Yaris vehicle or the Toyota brand. I happen to think that Toyota manufactures a fine product. However, in this case I reserved a mid-sized car for a reason, and I do not consider the Yaris mid-sized. It's not clear how Hertz could think that either. Unfortunately, the Hertz staff on-site didn't seem capable of doing anything to assist me. The experience was not bad enough to sour me on Hertz forever, but if it happens again, it could be enough to have me looking to switch loyalties to another car rental company who knows what a mid-sized car is. If it's Fall, it's Time to Make Some Horseradish! I grew up in a family with grandparents and great-grandparents who had immigrated to the United States from Poland. Important ethnic traditions were not limited to holidays; we enjoyed being Polish-Americans everyday! Polish music, dancing, folk art and food were a big part of our everyday life. Ah yes, the food! One of the best parts about being a Polish-American from a large extended family was enjoying the large variety of delicious, authentically prepared foods. Tasty soups, hearty starches, rich desserts and fine meats and sausages. Polish Sausage, or Kielbasa was a standard menu item at our home. The best kielbasa came from our family's own recipes, and some was even made using pork from hogs that were butchered in the cold of winter on our family farm. 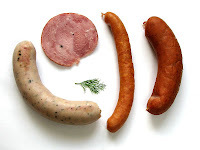 A real Pole does not eat kielbasa, fresh or smoked, without adding some horseradish for robust flavor! Horseradish is technically the name of the plant, but it is also commonly used to describe the grated root of the plant that is mixed with vinegar and used as a condiment. It has a spicy hot flavor that many believe accentuates the taste of the meat. Other cultures use horseradish as well. It is a common compliment to meals of beef, pork, lamb, and gefilte fish, and of course the bloody mary cocktail. Part of the fun of growing up on a Polish-American farm was making our own horseradish. The plant grew like mad in the fertile soil of the Midwest, and literally spread like a weed when left uncontrolled. You can often find it growing wildly on sites of old farmsteads. During a visit to our family farm about a year ago, I dug-up a few plants and brought them back to our home in Virginia. I cultivated a small plot next to our backyard compost pile, somewhat out of the way just in case the plants started to spread too quickly. The horseradish greens (i.e. the tops of the heavy rooted plants) looked rather handsome throughout the summer. I knew that the roots were maturing underground. The rule of thumb that I was taught about harvesting horseradish was that the root had the best flavor, which I assume means "strong", in any month whose name contained the letter "R". In areas where horseradish is cultivated commercially, they typically harvest in the late fall; a tradition that my Father has followed for many years. Since it was the first week of November, and my plants already had about a year to get established, I decided that it was time to make a little bit of the condiment for our own use. My son and I dug-up a handful of moderately-sized roots. I would have preferred that they had been a bit larger, but they were pretty good-sized for one year's growth. The best flavor seems to come from roots that are about the width of a man's thumb (1 inch or 2.5 cm) or about two years old. The roots that we had from this first year were slightly smaller, about the width of a man's index finger (3/4 inch or 2 cm) and 6 to 8 inches (15 to 20 cm) long. My experience is that once the roots get really large, they get a "woody" texture that makes them difficult to process into a condiment. The older roots also attain a more bitter flavor. Conversely, roots that are smaller seem to taste less strong, and are difficult to process; hardly worth the time and trouble to handle. Fortunately, we had found enough roots that were the appropriate size for our use to make some homemade horseradish! After you dig-up the roots, the next step is to lop-off the top of the plant, leaving about 1/2 inch (1.5 cm) of the root still intact to the leafy stem (see photo above). These tops are then placed back into the soil where they will re-grow their root and be ready to harvest again in a year or two. This is also a handy way to propagate the plant. If you can find someone with a horseradish plot, ask them for some plant tops from their next harvest. Then you can plant them in your own backyard. After the roots were thoroughly washed from the surface dirt, we cleaned them with a vegetable peeler. The peeler tends to reduce the size of the root as it takes a pretty thick cut from the surface. As an alternative, you can also lightly scrape the roots with a knife, or simply scrub them with a rough pad to remove any dirt and the root's thin outer skin. Then they roots were cut into cubes about a one inch long (2.5 cm). This peeling and cutting process begins to expose the root's inner-flesh in a way that releases the strong and pungent odor. You will quickly get an indication of the spicy hot flavor that awaits you! Now it's time to make the actual condiment. Grab a big handful of the cubed pieces and place them in a blender. Then add enough white vinegar to match the depth of the horseradish pieces. Chose a medium-high blender speed and stop every few seconds to push down any remaining cubes with a wood spoon. Don't blend too much. You don't want to create a "cream", rather blend the root cubes until you have a fine grated consistency. Use caution here as the resulting blend will smell very strong and can cause severe pain if a piece of the root or the juice were to get into your eyes, or a cut or scrape. Please be careful. If you are making a large quantity of horseradish, the blending process could make your home almost unbearable from the strong odor. You may consider doing the processing work outdoors or in a well-ventilated garage or porch to help reduce the burning, teary eyes and runny nose. Once the correct consistency is reached, we empty the blender contents into a bowl for easier spooning into small jars. That's all there is to it, you are done! The homemade horseradish needs to be refrigerated to stay fresh, and there it will remain good and strong for a couple of months. After that time, the condiment will begin to darken in color from a white to beige. This is also an indication that the condiment is losing its flavor. However, with your own backyard horseradish plot, you can simply dig up a few roots and make a fresh batch whenever you would like... as long as the month's name contains the letter "R"!